Best Paper, PURBA Workshop, ACM Ubicomp conference 2013. Best Paper, 5th International Conference on Health GIS 2013. Best Paper, The 33rd Asian Conference On Remote Sensing, 2012. Best Paper, AisaGIS conference 2008. Young GIS Professional Award, Asia Geographic Information System Association, 2008. Japanese government Monbukagakusho Scholarship 2007-2010. Biography in Asian/American who’s who, selected by editor, Vol. IV, 2004. Ed Forrest Internship Program awards, The Geospatial Information & Technology Association (GITA), USA, 2003. The John A. Hrones Prize for outstanding academic works, School of Advanced Technologies, AIT, 2002. AIT Institute Fellowships (Full Scholarship) Award, 2001. Invention Title: 自宅・勤務地判定における教師データを用いた学習アルゴリズムの利用　invention is submitted to University of Tokyo Technology Licensing Organization (TODAI TLO). The recent research interest focuses on urban mobility analysis. I have been working on analysis geo-location traces of a large number of mobile phone users to characterize mobility and activity patterns in the city. These urban dynamics reveal useful knowledge about how citizens navigate and use urban spaces. Horanont, T., Phiboonbanakit, T., Phithakkitnukoo, S., "Resembling population density distribution with massive mobile phone data", Data Science Journal, Vol 17, Article No. 24, 9 p., 3 October 2018. Ghimire, S. and Horanont, T., "Evaluating the accuracy of modified near infrared camera with wide FOV in monitoring crop health", International Journal of Geoinformatics, Vol. 13, No. 4, pp. 75-85, October-December 2017. Boonnam, N., Pitakphongmetha, J., Kajornkasirat, S., Horanont, T., Somkiadcharoen, D., Prapakornpilai, J., "Optimal plant growth in smart farm hydroponics system using the integration of wireless sensor networks into internet of things", Advances in Science, Technology and Engineering Systems Journal, Vol. 2, No. 3, pp. 1006-1012, 10 July 2017. Horanont, T., "A Study on Urban Mobility and Dynamic Population Estimation by Using Aggregate Mobile Phone Sources", CSIS Discussion Paper, No. 115 pp 1-124, 2012. 関本義秀, Horanont, T., 柴崎亮介, 解説：携帯電話を活用した人々の流動解析技術の潮流, 情報処理, Vol.52, No.12, pp.1522-1530, 2011.12. Horanont, T., "A Smart City: Moving toward the future sustainable city", USR4Thailand Convergence for Sustainability, Knowledge Network Institute of Thailand, 2011. Neupane, Bipul; Nguyen Duy Hung; Teerayut Horanont (2018). Weather scenario generation game. In Proceedings of the 13th International Conference on Knowledge, Information and Creativity Support Systems (KICSS 2018), 15-17 November 2018, Pattaya City, Chonburi, Thailand, pp. 153-158. Ukrish Vanichrujee; Teerayut Horanont; Thanaruk Theeramunkong; Wasan Pattara-atikom; Takahiro Shinozaki (2018). Taxi demand prediction using ensemble model based on RNNs and XGBOOST. In Proceedings of the 11th International Conference on Embedded Systems and Intelligent Technology (ICESIT 2018) in cooperation with The 9th International Conference on Information and Communication Technology for Embedded Systems (IC-ICTES 2018), 7-9 May 2018, Khon Kaen, Thailand, pp. 130-135. Supatana Hengyotmark; Teerayut Horanont; Kamol Kaemarungsi; and Kazuhiko Fukawa (2018). Pseudo-ranging based on round-trip time of bluetooth low energy beacons, Advances in Intelligent Systems and Computing: Recent Advances in Information and Communication Technology 2017: Proceedings of the 13th International Conference on Computing and Information Technology (IC2IT 2017), 6-7 July 2017, Bangkok, Thailand, Vol. 566, 2018, pp. 202-211. Ghimire, Suman; and Teerayut Horanont (2017). Assessing banana growth in tropical farmland of Thailand using multitemporal crop surface model. In Proceedings of the 12th GMSARN International Conference on Energy Connectivity, Environment, and Development in GMS (GMSARN 2017), 28-30 November 2017, Danang, Vietnam, 5 p.
Pichaya Prasertsung; and Teerayut Horanont (2017). How does coffee shop get crowded? : using WiFi footprints to deliver insights into the success of promotion. In Proceedings of the 2017 ACM International Joint Conference on Pervasive and Ubiquitous Computing and Proceedings of the 2017 ACM International Symposium on Wearable Computers (UBICOMP/ISWC ’17 ADJUNCT): Proceedings of the 6th International Workshop on Pervasive Urban Applications (PURBA 2017), 11-15 September 2017, Maui, Hawaii, United States, pp. 421-426. Pichaya Prasertsung; and Teerayut Horanont (2016). A classification of accelerometer data to differentiate pedestrian state. In Proceedings of the 20th International Computer Science and Engineering Conference 2016 (ICSEC 2016), 14 - 17 December 2016, Chiang Mai, Thailand, 5 p.
Jumras Pitakphongmetha; Nathaphon Boonnam; Siriwan Wongkoon; Teerayut Horanont; Deeprom Somkiadcharoen; and Jiranuwat Prapakornpilai (2016). Internet of things for planting in smart farm hydroponics style. In Proceedings of the 20th International Computer Science and Engineering Conference 2016 (ICSEC 2016), 14 - 17 December 2016, Chiang Mai, Thailand, 5 p.
Thananut Phiboonbanakit and Teerayut Horanont (2016), How does taxi driver behavior impact their profit? Discerning the real driving from large scale GPS traces, Proceedings of The 5th International Workshop on Pervasive Urban Applications, In conjunction with ACM UbiComp 2016, 13 September 2016, Heidelberg, Germany. Thananut Phiboonbanakit and Teerayut Horanont (2016), Understand Trend of Taxi Usage and its Fare Rate from Large-Scale Analysis of Trajectory Data, Proceedings of the 4th International Symposium on Fundamental and Applied Sciences (ISFAS) March 29-31, 2016, Kyoto, Japan. Witsarut Achariyaviriya, Teerayut Horanont, Wasan Pattara-atikom and Tsuyoshi Isshiki (2016), Mobile Sensor Based Road Conditions Classification Using Support Vector Machine, Proceedings of the International Conference of Information and Communication Technology for Embedded Systems (ICICTES 2016), March 20-22, 2016, Thailand. Thananut Phiboonbanakit and Teerayut Horanont, Who will get benefit from the new taxi fare rate? Discerning the real driving from Taxi GPS Data, Proceedings of the International Conference of Information and Communication Technology for Embedded Systems (ICICTES 2016), March 20-22, 2016, Thailand. Apichon Witayangkurn, Teerayut Horanont, Masahiko Nagai, and Ryosuke Shibasaki (2018). Large scale mobility analysis: extracting significant places using Hadoop/Hive and spatial processing, Advances in Intelligent Systems and Computing: Recent Advances and Future Prospects in Knowledge, Information and Creativity Support Systems: Proceedings of the 10th International Conference on Knowledge Information and Creativity Support Systems (KICSS 2015), 12-14 November 2015, Phuket, Thailand, Vol. 685, 2018, pp. 205-219. Paweenuch Songpatanasilp; Teerayut Horanont, Harutoshi Yamada; and Ryosuke Shibasaki (2018). Modeling traffic accidents occurrences based on land use and road factors using geographically weighted regression models, Advances in Intelligent Systems and Computing: Recent Advances and Future Prospects in Knowledge, Information and Creativity Support Systems: Proceedings of the 10th International Conference on Knowledge Information and Creativity Support Systems (KICSS 2015), 12-14 November 2015, Phuket, Thailand, Vol. 685, 2018, pp. 220-232. Deeprom Somkiadcharoen, Teerayut Horanont, Wasan Pattara-atikom, and Nobuhiko Sugino (2018). Data exploration of taxi driver during protesting period in Thailand by GPS tracking, Advances in Intelligent Systems and Computing: Recent Advances and Future Prospects in Knowledge, Information and Creativity Support Systems: Proceedings of the 10th International Conference on Knowledge Information and Creativity Support Systems (KICSS 2015), 12-14 November 2015, Phuket, Thailand, Vol. 685, 2018, pp. 205-219. Surat Saelee and Teerayut Horanont, Optimal Placement of EV Charging Station Considering the Road Traffic Volume and EV Running Distance, Proceedings of 7th International Conference on Mechanical and Electrical Technology (ICMET 2015), 1-2 July 2015, Bali, Indonesia. Songpatanasilp, P., Horanont, T., Yamada, H., Shibasaki, R., Traffic accidents risk analysis based on road and land use factors using GLMs and zero-inflated models, Proceedings of 14th International Conference on Computers in Urban Planning and Urban Management, July, Cambridge, MA USA, 2015. 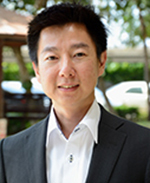 Arai, A., Witayangkurn, A., Horanont, T., Shao, X., Shibasaki, R., Understanding the Unobservable Population in Call Detail Records through Analysis of Mobile Phone User Calling Behavior, Proceedings of 13th IEEE International Conference on Pervasive Computing and Communications (PerCom 2015), Missouri, USA, 2015. Teerayut Horanont, Santi Phithakkitnukoon, and Ryosuke Shibasaki (2015). Sensing urban density using mobile phone GPS locations: a case study of Odaiba area, Japan, Proceedings of the International Conference on Nature of Computation and Communication (ICTCC 2014), 24-25 November 2014, Ho Chi Minh City, Vietnam, Vol. 144, 24 January 2015, pp. 146-155. Arai, Ayumi, Teerayut Horanont, Apichon Witayangkurn, Xiaowei Shao, Hiroshi Kanasugi, Ryosuke Shibasaki (2014). Understanding user attributes from calling behavior: exploring call detail records through field observations. In Proceedings of the 12th International Conference on Advances in Mobile Computing and Multimedia (MoMM 2014), 8-10 December 2014, Kaohsiung; Taiwan, pp. 95-104. Teerayut Horanont, Jiranuwat Prapakornpilai, Santi Phithakkitnukoon, Apichon Witayangkurn, and Ryosuke Shibasaki (2014). Space profile-based reverse geocoding service using cloud platform: a case study of Tokyo metropolitan area. In Proceedings of 2014 IEEE International Conference on Services Computing (SCC 2014), 27 June - 2 July 2014, Alaska, USA, pp. 842-843. Teerayut Horanont, Apichon Witayangkurn, Yoshihide Sekimoto, Ryosuke Shibasaki, Extracting Descriptive Life Profiles from Mobile GPS Data, Proceedings of Phuket, Thailand, 2013. Xuan Song, Quanshi Zhang, Yoshihide Sekimoto, Teerayut Horanont, Satoshi Ueyama and Ryosuke Shibasaki, Modeling and Probabilistic Reasoning of Population Evacuation During Large-scale Disaster, Proceedings of the 19th SIGKDD conference on Knowledge Discovery and Data Mining (KDD 2013), 2013. Yoko Hasegawa, Yoshihide Sekimoto, Teerayut Horanont, Hiroshi Kanasugi and Ryosuke Shibasaki, CDRsデータを用いたダッカの人の流動把握, 第２２回地理情報システム学会講演論文集, Tokyo, 2013. Takahiro Nishimura, Yoshihide Sekimoto, Teerayut Horanont and Ryosuke Shibasaki, 携帯電話のGPSログデータを用いた人々の行動パターンの分類, 第２２回地理情報システム学会講演論文集, Tokyo, 2013. Yuki Akiyama, Teerayut Horanont and Ryosuke Shibasaki, 大規模人流データを用いた商業地域における来訪者数の時系列分析, 第２２回地理情報システム学会講演論文集, Tokyo, 2013. Teerayut Horanont, Apichon Witayangkurn and Ryosuke Shibasaki, Deriving Dynamic OD Matrix from Mobile Phone CDR for Transportation Planning in Developing Country, Proceedings of The 34th Asian Conference on Remote Sensing, Bali, Indonesia, 2013. Karlvin David C. Cuaresma, Teerayut Horanont and Ryosuke Shibasaki, Usage of Large Scale Mobile GPS Data: Detection of Weather Effect to After Work Habits of Office Workers in Tokyo, Proceedings of The 34th Asian Conference on Remote Sensing, Bali, Indonesia, 2013. Apichon Witayangkurn, Teerayut Horanont, Mariko Shibasaki and Ryosuke Shibasaki, Group-based Life Pattern Extraction from Large Scale GPS Data of Mobile Phone, Proceedings of The 34th Asian Conference on Remote Sensing, Bali, Indonesia, 2013. Ayumi Arai, Teerayut Horanont, Toshikazu Nakamura and Ryosuke Shibasaki, Uncover Geographic and Seasonal Patterns of Mobile People Activity for Effective Monitoring and Timely Intervention to Prevent HIV/AIDS Spread in Ivory Coast, Proceeding of The 5th International Conference on HealthGIS 2013, Bangkok, Thailand, 2013. Ryosuke Toida, Yoshihide Sekimoto, Teerayut Horanont, Hiroshi Kanasugi and Ryosuke Shibsaki, Analysis of the Reconstruction Process After the Great East Japan Earthquake Using GPS Data, Proceeding of The 13th International Conference on Computers in Urban Planning and Urban Management, Utrecht, Netherlands, 2013. Teerayut Horanont, Apichon Witayangkurn, Yoshihide Sekimoto and Ryosuke Shibasaki, Expose Urban Activities from Human Flow, Proceeding of The 13th International Conference on Computers in Urban Planning and Urban Management, Utrecht, Netherlands, 2013. Apichon Witayangkurn, Teerayut Horanont, Natsumi Ono, Yoshihide Sekimoto and Ryosuke Shibasaki, Trip Reconstruction and Transportation Mode Extraction on Low Data Rate GPS Data from Mobile Phone, Proceeding of The 13th International Conference on Computers in Urban Planning and Urban Management, Utrecht, Netherlands, 2013. Teerayut Horanont, Apichon Witayangkurn, Ryosuke Shibasaki, Depict Urban Activities from Real Movement with Auto-GPS, Proceedings of the Third International Conference on the Analysis of Mobile Phone Datasets (NetMob), Boston, May 1-3, 2013. Ayumi Arai, Teerayut Horanont, Apichon Witayangkurn, Ryosuke Shibasaki, Neighborhood Structures in Socio-demographic and HIV Infection Conditions - Indication to the Potential of mHealth for Tackling HIV in Ivory Coast, Proceedings of the Third International Conference on the Analysis of Mobile Phone Datasets (NetMob), Boston, May 1-3, 2013. Teerayut Horanont, Apichon Witayangkurn, Ryosuke Shibasaki, Demonstration of Mobile Auto-GPS for Large Scale Human Mobility Analysis, Proceedings of European Geosciences Union General Assembly 2013, Austria, Apr 7-12, 2013. 秋山祐樹・上山智士・Horanont Teerayut・仙石裕明・柴崎亮介, 大規模移動データを用いた商業地域における来訪者の特性分析, 第２１回地理情報システム学会講演論文集, F-7-3, 2012. 羽田野真由美・上山智士・秋山祐樹・Horanont Teerayut・柴崎亮介、GPSデータを用いた商業集積地来訪者の行動パターン抽出方法の検討　第２１回地理情報システム学会講演論文集, F-3-4, 2012. 大野 夏海・関本 義秀・中村 敏和・Horanont Teerayut・柴崎 亮介, 東京都市圏における長期のGPSデータを用いた、移動経路の推定に関する研究　第２１回地理情報システム学会講演論文集, F-4-2, 2012. Ono, N., Sekimoto, Y., Nakamura, T., Horanont, T., Shibasaki, R., Trip Pattern Analysis Using Long-Term GPS Data, Workshop for Progress in Movement Analysis - Experiences with Real Data, Switzerland, 2012. Teerayut Horanont, Apichon Witayangkurn, Ryosuke Shibasaki, Dynamic Origin-Destination and Flow Analysis of the Disaster Impact Zone, Proceedings of The 33nd Asian Conference on Remote Sensing, Thailand, CD-ROM, 2012. Teerayut Horanont, Apichon Witayangkurn, Ryosuke Shibasaki, The Challenge of Geospatial Big Data Analysis, Proceeding of The Open Source Geospatial Research and Education Symposium (OGRS), Switzerland, October 24-26, 2012. Teerayut Horanont and Ryosuke Shibasaki, Towards Thematic Web Services for Generic Data Visualization and Analysis, Proceeding of The XXII International Society for Photogrammetry & Remote Sensing Congress (ISPRS), Melbourne, Australia, August 25 - September 1, 2012. Apichon Witayangkurn, Teerayut Horanont, Ryosuke Shibasaki, Performance Comparisons of Spatial Data Processing Techniques for a Large Scale Mobile Phone Dataset, Proceeding of The 3rd International Conference and Exhibition on Computing for Geospatial Research and Application: COM.Geo, Washington DC, USA, July 1-3 2012. Teerayut Horanont and Ryosuke Shibasaki, Thematic mapping service for time series geospatial data visualization, Proceedings of The 32nd Asian Conference on Remote Sensing, Taipei, CD-ROM, 2011. Ono, N., Sekimoto, Y., Watanabe, A., Horanont, T., Shibasaki, R.: Analysis of Temporal Changes in Population Distribution for Developing Cities Using Social Survey Data, Proceedings of The 32nd Asian Conference on Remote Sensing, Taipei, CD-ROM, 2011. Teerayut Horanont and Ryosuke Shibasaki, Nowcast of Urban Population Distribution using Mobile Phone Call Detail Records and Person Trip Data, Proceeding of The 12th International Conference on Computers in Urban Planning and Urban Management, Calgary, Canada, 2011. Teerayut Horanont and Ryosuke Shibasaki, Estimating Dynamic Urban Population Through Assimilated Mobile Phone Data, Second conference on the Analysis of Mobile Phone Datasets and Networks (NetMob), Boston, October 10-11, 2011. Santi Phithakkitnukoon, Teerayut Horanont, Giusy Di Lorenzo, Ryosuke Shibasaki and Carlo Ratti, Activity-Aware Map: Identifying human daily activity pattern using mobile phone data, Proceeding of The International Workshop on Human Behaviour Understanding 2010, Istanbul, Turkey, 2010. Teerayut Horanont and Ryosuke Shibasaki, Imaging City Activities: A City Wide Simulation System of Crowd Movement, Proceedings of The 30th Asian Conference on Remote Sensing, Beijing, China, 2009. Terayut Horanont and Ryosuke Shibasaki, Evolution of Urban Activities and Land Use Classification through Mobile Phone and GIS Analysis, Proceeding of The 11th International Conference on Computers in Urban Planning and Urban Management, CUPUM 2009, HongKong, 2009. Teerayut Horanont and Ryosuke Shibasaki, A Distributed System for Multi-temporal Urban Analysis and Urban Flow Pattern Recognition by Using Mobile Sensing, Proceedings of The Asia GIS 2008, Busan, Korea, 2008. Teerayut Horanont and Ryosuke Shibasaki, An Implementation of Mobile Sensing for Large-Scale Urban Monitoring, Proceeding of The International Workshop on Urban, Community, and Social Applications of Networked Sensing Systems – ACM Sensys 2008, Raleigh, North Carolina, USA, 2008. Masahiko Nagai, Teerayut Horanont, Thepchai Supnithi, Asanee Kawtrakul, Kulapramote Prathumchai, Ryosuke Shibasaki, Development of Ontological Information for Agriculture in Thailand, Proceeding of The 6th Conference of the Asian Federation of Information Technology in Agriculture (AFITA),Tokyo, Japan, 2008. Teerayut Horanont and Ryosuke Shibasaki, An Implementation of Web Based Mobile Sensing for Human Flow Visualization and Analysis, Proceedings of The 29th Asian Conference on Remote Sensing, Colombo, Sri Lanka, CD-ROM, 2008. Gettys J., Horanont T., Plews R.,Okabe A.,Okabe K., Ratanasermpong S.,Supera T., 3D Web-Browser and Database System for a Geographical Study on Domestic Animals in Northern Thailand: Geographic Information Systems Association, Japan, 2005. Honda Kiyoshi, Sarawut Ninsawat, Teerayut Horanont and Panithan Srinuandee, Development of WMS Server for Tsunami Geo-Spatial Information Sharing, A scientific forum on the Tsunami, Thailand, 2005. Sarawut Ninsawat, Kiyoshi Honda, Teerayut Horanont, Ryuzo Yokoyama, Amor V.M.Inex, Remote Sensing Image Server based on WMS for GMS (Greater Mekong Sub-Region) Countries, Proceedings of The 24th Asian Conference on Remote Sensing, November 2003, Busan, Korea, 2003. Teerayut Horanont, Nitin K. Tripathi, Venkatesh Raghavan and Phisan Santitamnont, A comparative assessment of internet GIS server systems, Proceedings of Map Asia 2002, Thailand, 2002. Teerayut Horanont, Nitin K. Tripathi, Web mapping for tourist information system, MapInfo User Conference 2002, Thailand, 2002.